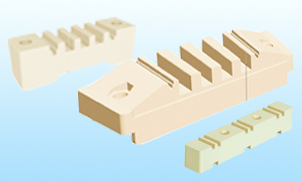 Suitable for low voltage applications. 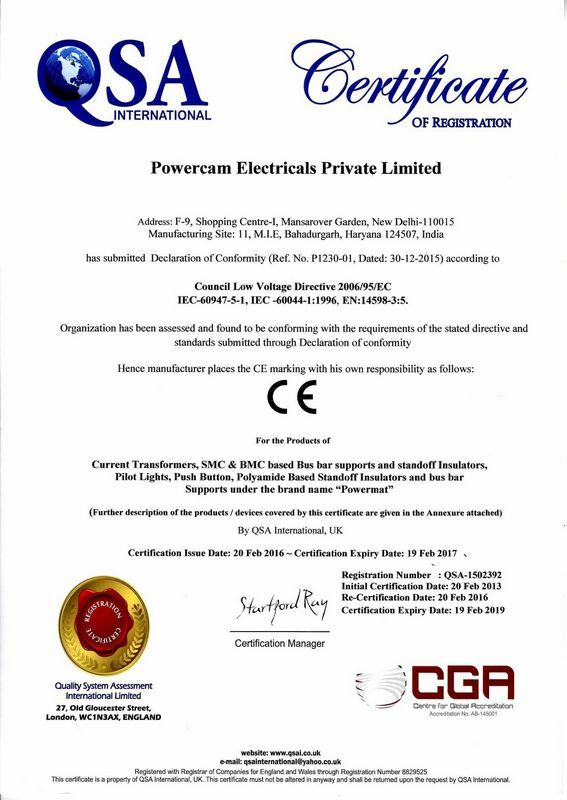 Powercam Electricals (P) Ltd. was incorporated in the year 1990 with the objective of providing quality components for Electrical Control Panels, Distribution Boards and Bus Ducts. 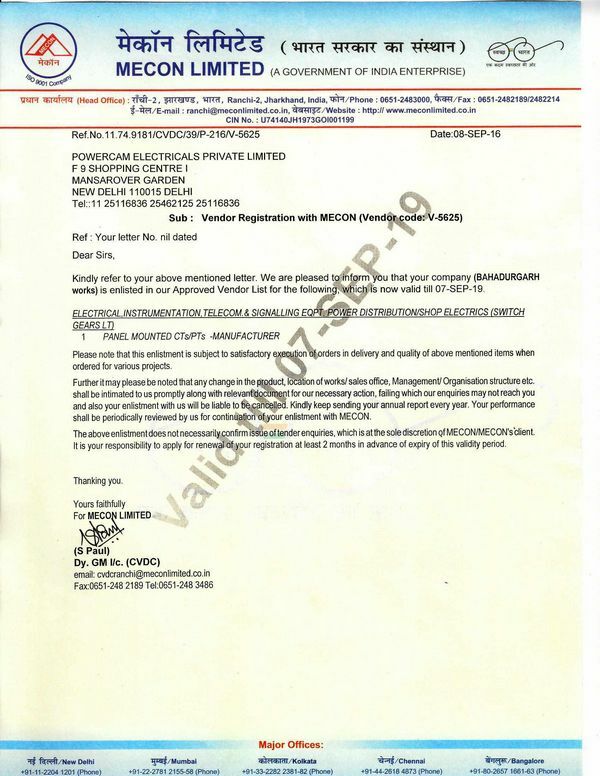 The company is operating in Indian and International Markets and producing wide range of control panel and distribution board components like Stand Off Insulators and Busbar Supports in DMC, SMC and Polyamide, MV Insulators, Push Buttons, Pilot Lamps, Current Transformers, Potential Transformers, Panels locks, Hinges, Handles, Air Vents, Document Holders, Terminal Connectors, Brass Terminal Bars and PVC Heat Shrinkable Sleeves under the brand name of POWERMAT. 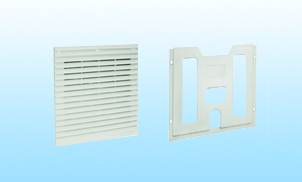 From the time of its inception, the company has grown its designing, engineering, tooling, manufacturing and testing capabilities to become the market leaders in the field. At POWERMAT we are striving to understand changing customer needs and enrich the quality of their products by simply making the technology readily usable for them. 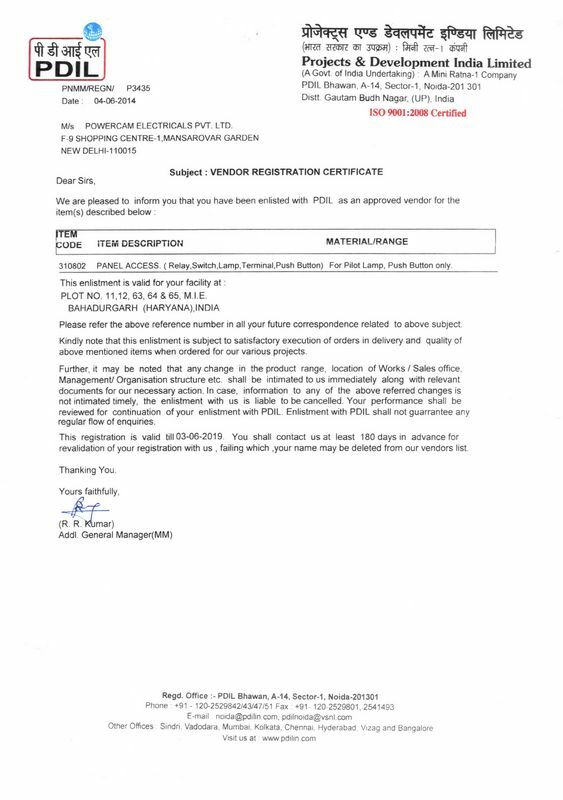 We are proud to have trained professionals, who study, design, develop, enhance, customize and use of various aspects of products manufactured by us. The quality and design has always been the most emphasized area at POWERMAT manufacturing facilities. A free technical consultancy service is available for Short Circuit Testing for designing of Power Control Centers with POWERMAT products. 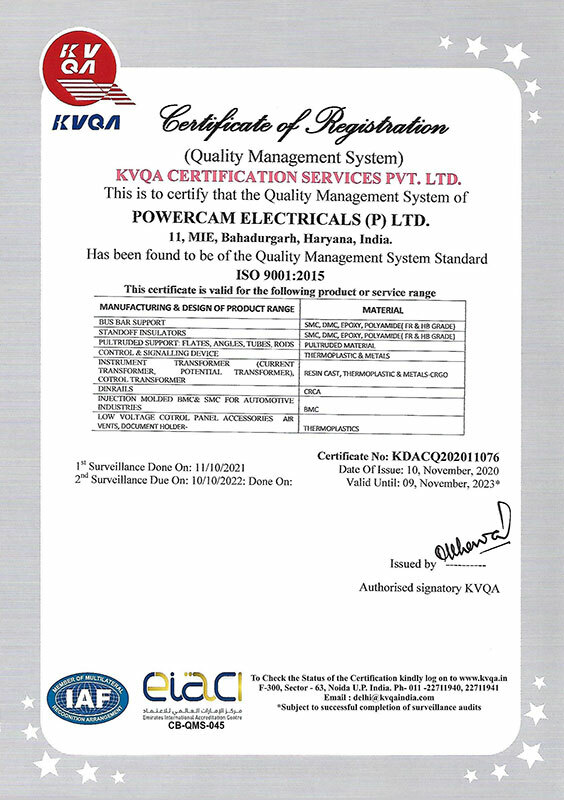 POWERMAT is committed for excellence in quality and our design department provides different application data to customers for ASTA, KEMA and CPRI testing. 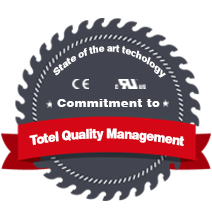 There is an on-going philosophy of research and development in providing advance solutions to customer requirement. 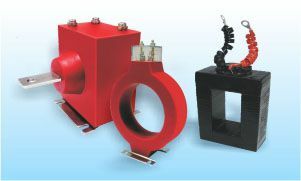 POWERMAT has its own testing facilities for testing of raw materials, SMC, DMC and other plastic components for physical, mechanical and electrical properties as per ASTM, IEC, JIS and UL test methods. 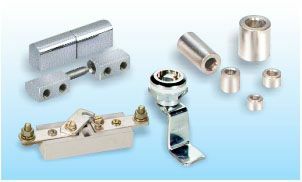 The jigs and fixtures are designed for testing different finished components depending on their application in the final product use. 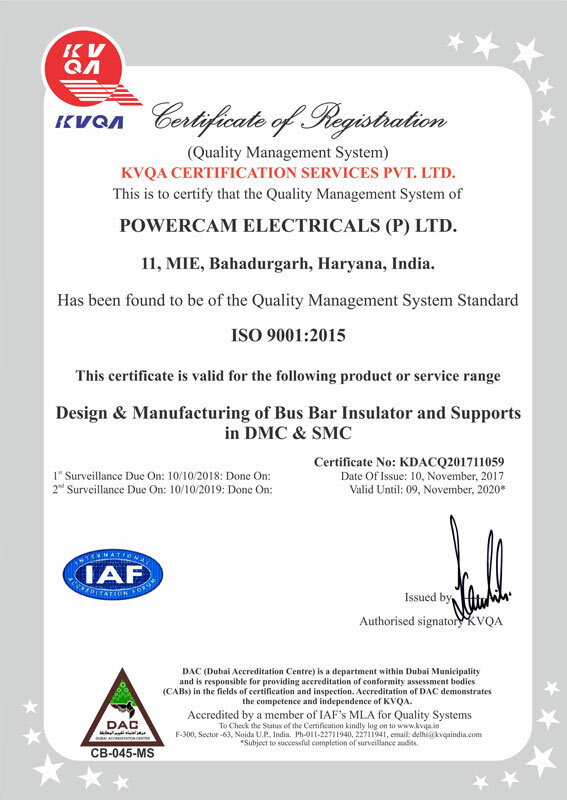 The company is always willing to accept ideas provided by its employees at all levels and its valued customers for its product use in control panels, Bus Ducts, Rising Main and Distribution Boards and translates those ideas various type of products which has resulted into one of the largest range of Busbar Supports and Stand Off Insulators. POWERMAT aims to continue to grow exponentially through major expansion programs in the coming years by introducing a range of products for electric panel boards. The POWERMAT group is currently investing heavily in research and development of new components for control panels. Thus the next few years will further see a stream of new POWERMAT products coming into the market. 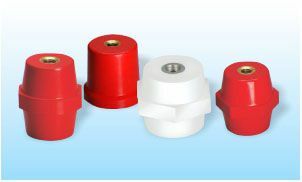 Wide range of Control Panel and Distribution Board Components like stand off Insulators and Bus bar Supports in DMC, SMC and Polyamide, MV Insulators, Push Buttons, Pilot Lamps, Current Transformers, Potential Transformers, Panels Locks, Hinges, Handles, Air Vents, Document Holders, Terminal Connectors, Brass Terminal Bars and PVC Heat Shrinkable Sleeves. 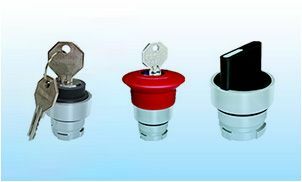 Ø22.5 mm push button is designed and manufactured to demanding performance specification. Using state of art solid modelling technique and finite element analysis, every component build into our series is optimised for durability and performance. Pilot Lights has a variant from 12 v AC/DC to 240 V AC & 220 V DC. 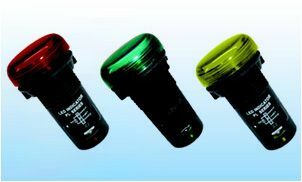 Three Super Bright LED which collectively give Lux from 450 to 2000. The design of Lense & Reflector is done in such a way that the emitting light will have a wider visibility.